Steve’s breakdown: Steuart and Tom Walton, Grandsons of Wal-mart founder, just bought Rapha and we expect the brand to be reviewing everything on a global scale. Read on . . . .
LONDON, UK: Rapha, the upmarket and trendy British bikewear brand, has been sold to two grandsons of Sam Walton, founder of Wal-Mart Stores. Rapha, founded by branding consultant and lifelong cyclist Simon Mottram in 2004, has been sold to RZC Investments, a private equity firm run by Steuart and Tom Walton, who are reported to be committed mountain bikers. The firm also has an investment in bike maker Allied Cycle Works, based in Little Rock, Ark. 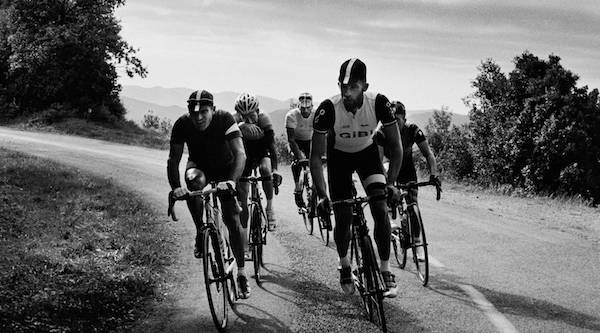 Since it launched, Rapha has been owned by Mottram and a group of founder shareholders. In addition to selling through its websites to countries around the glove, Rapha operates 17 stores, called “Clubhouses,” in major cities, with seven locations, including one in Los Angeles, due to open by yearend. It also has an international cycling club with more than 9,000 members, each of whom pays an annual membership fee.